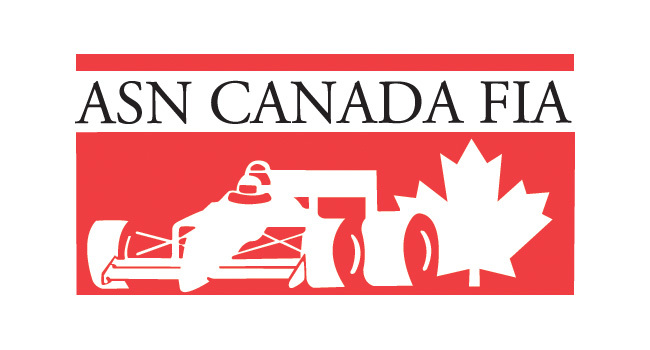 2018 Canadian Karting Championships – Day 1 News & Notes – CKN | CanadianKartingNews.com | Because Karting is a way of Life! It was a warm and sticky day at Mosport Kartways as the first official day of the 2018 ASN Canadian Karting Championships took place. Temperatures soared into the 30’s as drivers got their first chance to hit the track for the first of two practice days. 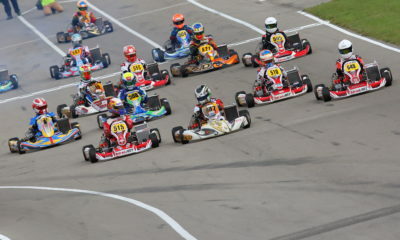 As entries continued to roll in throughout the day, so did the number of karts on track and trailers in the paddock. 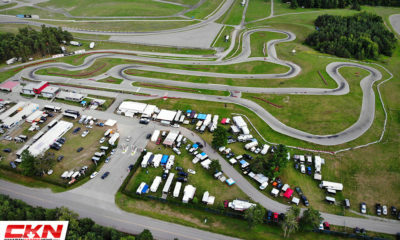 Mosport is filling up quickly and the excitement level is growing. As expected, the large majority of karters are from Ontario, but there is an excellent turnout of racers from the east coast, including New Brunswick, Nova Scotia and Prince Edward Island, all of whom are racing under the Gerald Caseley Racing banner. 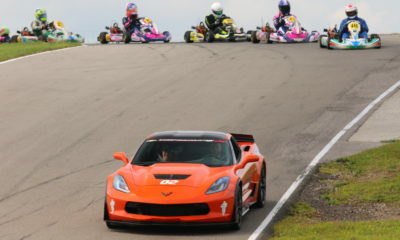 A smaller than expected turnout of drivers from Quebec have made their way to Mosport, but two names that stand out are Patrick Woods-Toth (Racing Edge Motorsports) and Justin Arseneau (Goodwood Kartways), both competing in the Rok Junior category. 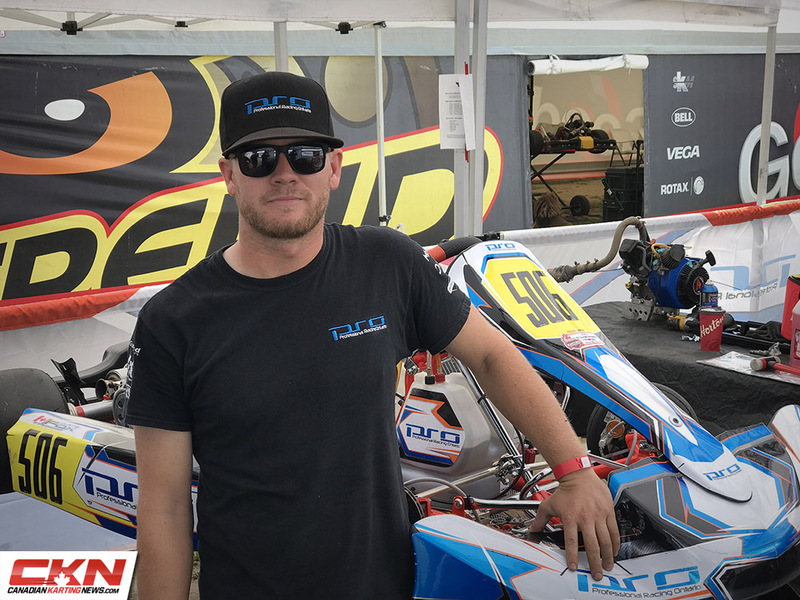 Arseneau has been a very busy driver this year, taking on a number of events in the USA, while Woods-Toth competed in the US Open of New Jersey and nearly brought home a podium. Both will challenge for the top spot this weekend in ROK Junior. A little shocking is that there is only one driver from Western Canada in attendance, Alexander Berg from Alberta. The event has attracted only a trio of Americans as well as one driver from India, Aadi Karande, who will be racing with PSL Karting. 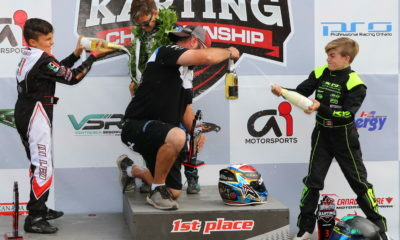 Curtis Fox, co-owner of Professional Racing Ontario (PRO), has suited up and prepared a ROK Shifter to do battle this weekend, looking to replicate what his fellow co-owner Darryl Timmers did last year, win. It is great to see his team support him, as well as seeing his father turning the wrenches. The largest class so far (entries close tomorrow for those who have avoided entering the race until the very last minute) show that Briggs Junior has the largest turnout, which surprises us given the number of Briggs Senior drivers that raced only weeks ago at the CRFKC SummerFest. Hopefully, more stragglers will show up tomorrow or even Friday morning. The Open Shifter category has broken into double digits for the first time this year. 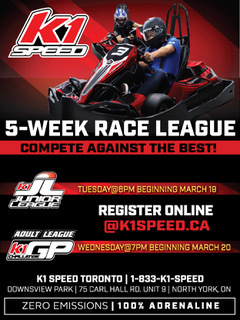 Another look at the entry sheet shows a tight battle between Intrepid Kart and BirelART for having the largest number of manufacturer entrants. When the list is official, we will have an infographic breaking down of chassis being utilized this weekend at Mosport. In total, we have calculated 15 different chassis brands entering the event. That is all for day one, we will be back tomorrow with more updates from the paddock at Mosport Kartways.